These frayed wings make for an interesting butterfly profile. 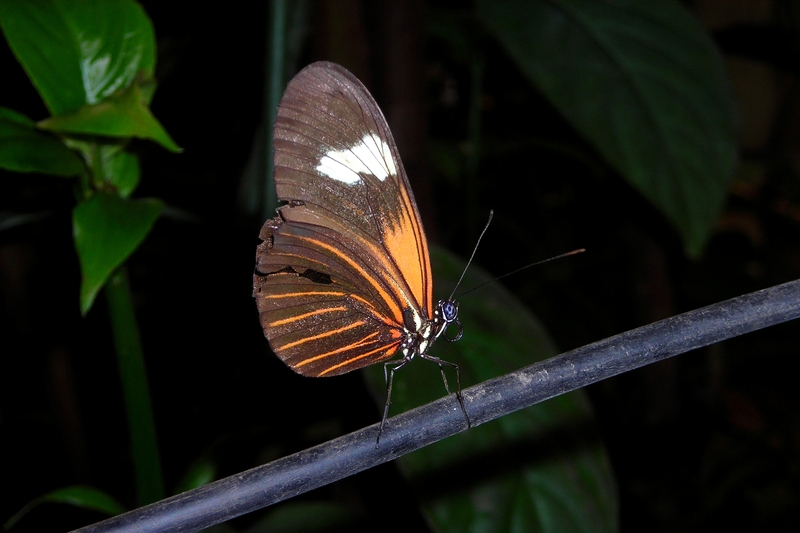 La Selva has a butterfly farm for guests to see many tropical butterfly species in all stages of life. Based on my Googling, this butterfly seems to be from the genus Heliconius , which is known for its mimicry among its members. Like Darwin’s finches, their diversity has been used to study speciation. One thing I love about this image is that if you zoom in, you can see the curled proboscis so well.